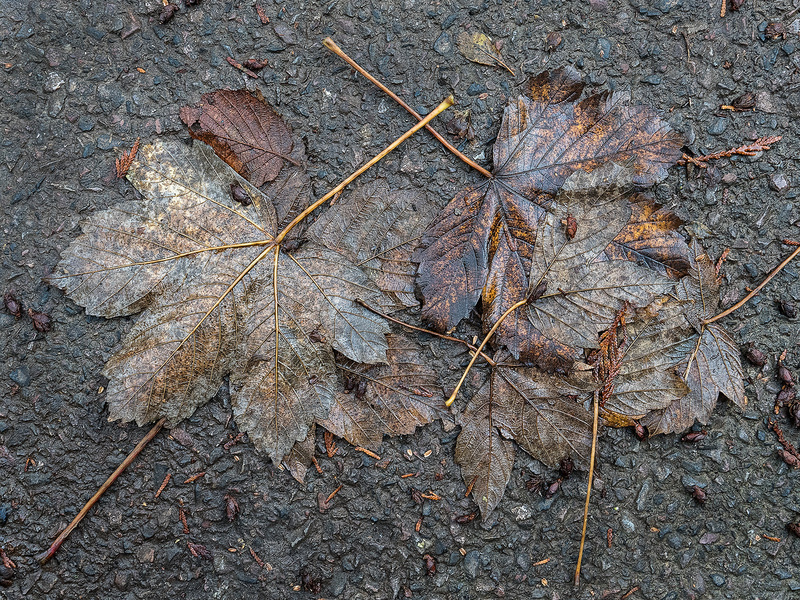 This entry was posted in Autumn and tagged Autumn, Fall, Leaf Litter, Photography. Bookmark the permalink. Thanks Lynn. 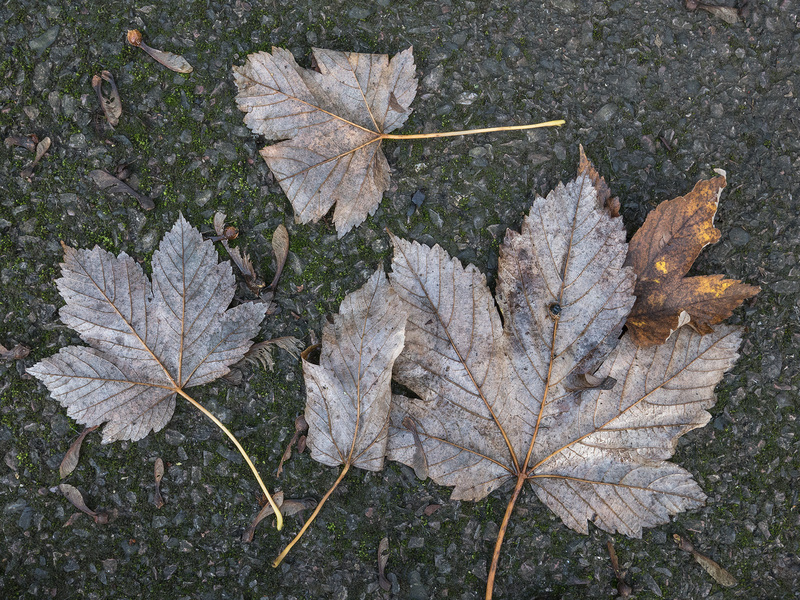 A shower of rain helps – leaves that look dead suddenly glisten. I’m especially fond of that second photo; the leaves look like tarnished copper. There was a fad in this country some decades ago — in the 1960s, perhaps — of dipping small leaves in copper, silver, or gold, and making necklaces of them. Exactly how it was done, I’m not sure, but I certainly can see these as adornment. As for slowing down? There’s a song for that, too. Ah- Simon and Garfunkel, happy memories of my youth. We had a copper leaf just like you describe except it was life size. I think we might still have it somewhere. There is so much variety in the leaf litter, and rain makes a phenomenal difference. The colours become vibrant. I’ve had a thorough enjoyable Autumn this year.